This is not a harmful dental situation so to speak but yellow teeth can lead to a tarnished reputation and can lead to you receiving negativity from people around you. This leads to confidence issues and psychological problems. Thankfully, it is not very difficult to fix this. As long as you maintain oral hygiene discipline on a regular basis, your teeth appear white for a lifetime. 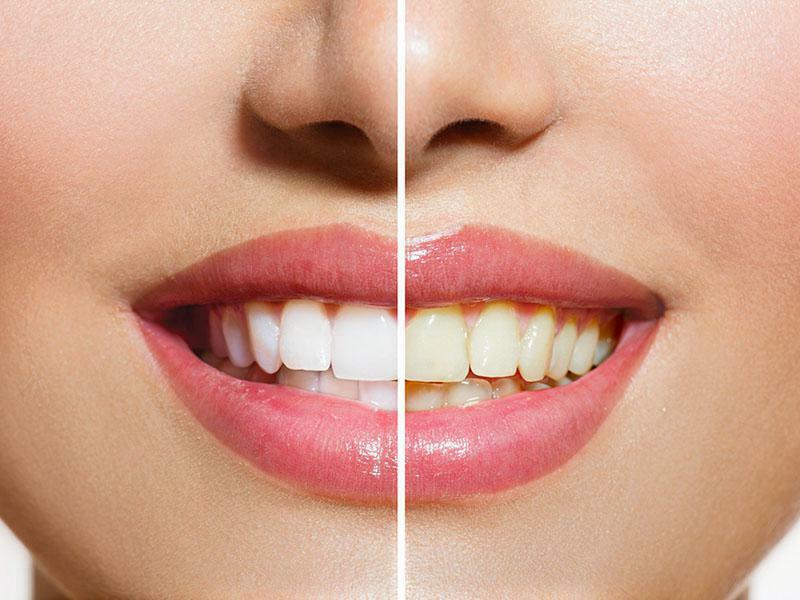 There are also other measures to improve whiteness, like home bleaching and dental whitening. The main reason your teeth starts turning yellow is aging. Of course, there are several other reasons that can cause yellow teeth, but aging is a natural cause. Just like every other part of your body, your teeth age as well. And yellow teeth can be considered the first signs of aging. It’s a natural indication of the fact that you are starting to grow old and that you need to take even better care of your teeth from now. Cigarettes, pipes, cigars and even drugs like marijuana can lead to the darkening of your teeth. Not only are these activities unhealthy for your lungs but they also affect your teeth and overall health. So as you grow older, try to get rid of these habits. This is the first thing we’re taught as children whenever it comes to dental care. We are warned not to ignore our oral hygiene habits as our teeth could turn yellow otherwise. This was true before, and it remains true now. Never ignore your daily oral care. There are some medicines- antibiotics, doxycycline and tetracycline- which are capable of darkening your teeth, especially in case of children who are younger than 8 years. There are some drugs consumed by adults for conditions like High Blood Pressure and antipsychotics which can also cause yellowing of teeth. It is best that you always go over any such potential side effects of the medicines that you are already consuming or are about to consume. A physician should warn your beforehand. This isn’t as common a cause for yellow teeth or tooth discoloration, but there are certain diseases which affect your tooth’s enamel which causes it.Some treatment procedures-for instance, chemotherapy and radiation-can lead to a more brownish discoloration instead of yellow. The most uncommon reason for yellow teeth is your genes. Yes, it is possible that having yellow teeth is something you have inherited from your ancestors. In such cases, it is best if you start taking precautions from an early age and combat it to the best of your ability to prevent it from passing on to your successors. When we look in the mirror and smile, we want shiny white teeth dazzling our eyes. If you begin to feel that you are teeth are turning yellow, you need to work on your dental hygiene. A regular visit to a dentist for professional advice, once every six months, can work wonders.